SOLD IN PACKS OF 2. PRICE IS PER PACK. Two chart booklets with 16 charts each. The booklet includes a quick reference to the CCL rules, as well as sample images of mucus characteristics. Sold only in sets of two. 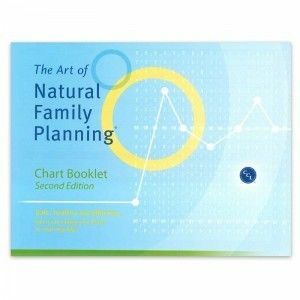 These charts were designed for use with The Art of Natural Family Planning® 2nd edition Student Guide, but also can be used with older versions of CCL's method.